Google AdWords or paid SEM campaigns provide a fantastic method to promote goods or services in a prime online search position. A lead searching for your product clicks on the ad that links through to your website. If they’re interested, the lead might contact your business using an online form or the phone number that’s prominently displayed. 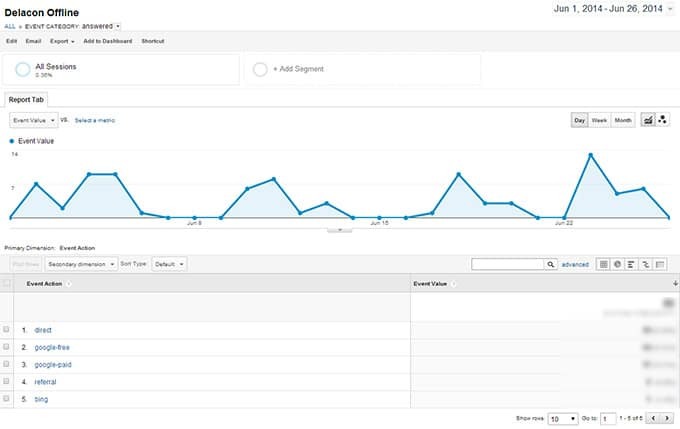 By analysing the data in Google Analytics, it’s relatively easy to determine the amount of leads who clicked on your ad and who then filled out a submission form on your website. However it isn’t quite as straight forward to determine the volume of leads who called your business after clicking on a paid ad and browsing your site. Without the inclusion of call data, you may not be accurately assessing the success of a paid campaign and you make not be accurately determining the true cost-per-lead. More importantly, you may not be effectively optimising your online campaigns. Delacon’s call tracking solution, will give you the missing metric – the call data – so that you can make optimisation decisions based on complete information. Given that phone calls generally lead to higher value sales, you will be able to identify the keywords that deliver calls from a paid ad. With this knowledge, you will be able to reallocate resources to bolster high-performing keywords and reduce the spend on under-performing keywords. 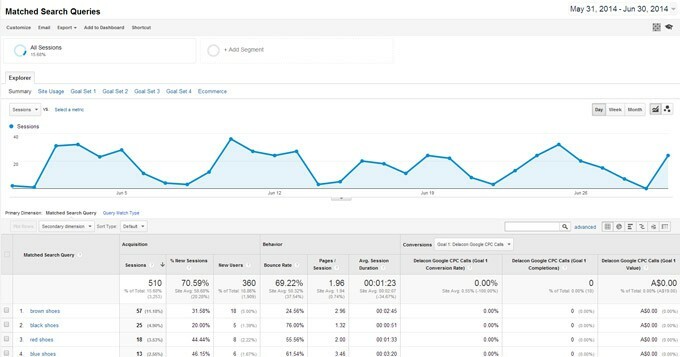 You will be able to analyse call data driven from paid ads in both Delacon’s Reports and in Google Analytics. Read about how companies have determined a more accurate cost-per-lead with the inclusion of call data by reviewing our case studies on the Boutique Agency, Digital Leaf and on the NRMA.